What city had more electric lights than New York in 1883? That was sort of a trick question, but the correct answer is Louisville, Kentucky! Louisville was host to the Southern Exposition, which opened in 1883—one hundred thirty years ago. This show, which ran for about 100 days each summer for five years, showcased the agriculture and industry of the South. It was, in effect, a five-year series of world’s fairs. The show was designed to show the world that the post-war South was strong. 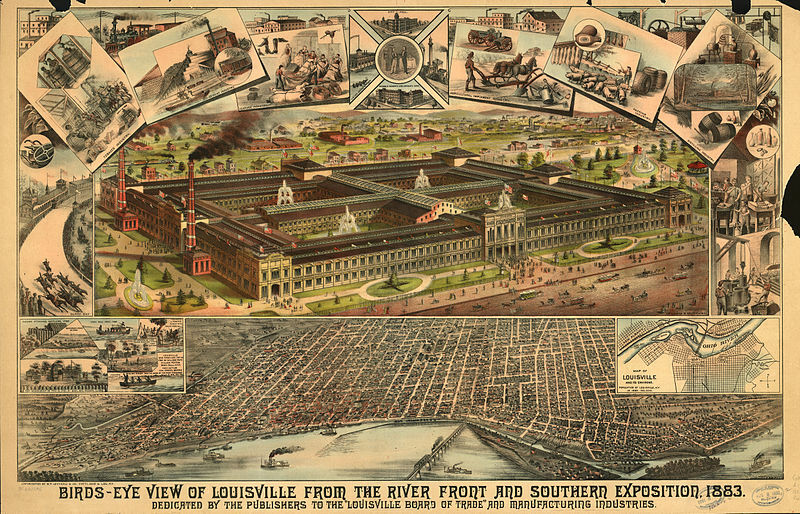 Louisville businessmen wanted their city to claim a place in the world trade market. At first, it was planned to show off the production and use of cotton, but the idea grew and grew. The exhibits presented many aspects of agriculture, technology, and industry. August 1, 1883. 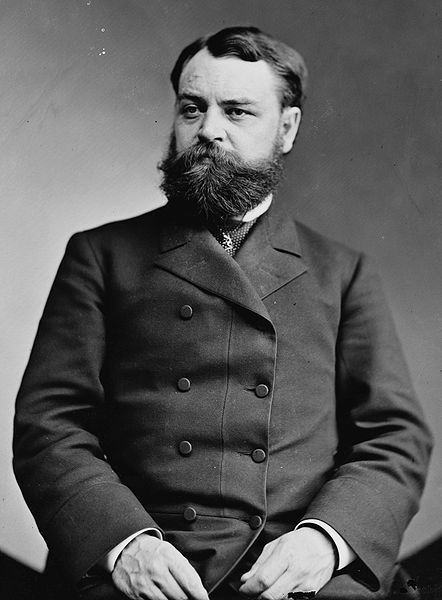 He was accompanied by several dignitaries, including Secretary of War Robert Todd Lincoln (Abraham Lincoln's son). The exhibition grounds covered 45 acres. The main building alone covered ten acres and was 600 feet wide and 900 feet long. It formed a huge rectangle, with pavilions in a cross shape in the center and four large open courts. The buildings were dismantled at the end of the five-year spectacular, and the materials used for other structures. Many beautiful homes were built in the area where they had stood, now part of the Old Louisville Preservation District. The lighting was a highlight of the event. 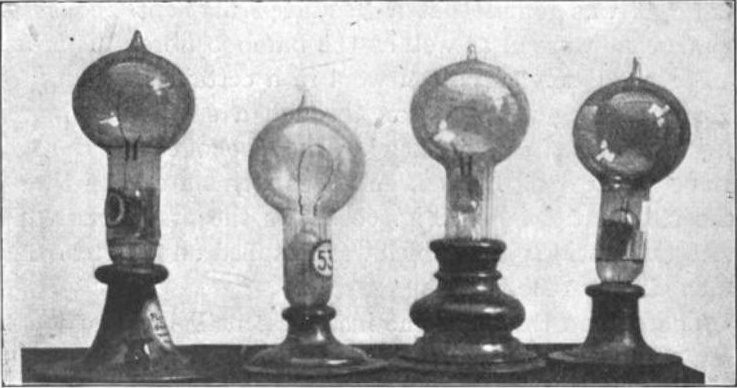 The company owned by Thomas Edison, who had previously lived in Louisville, was contracted to install the lighting. The Louisville Board of Trade contracted to buy 5,000 incandescent lamps, 4,600 of which lit the exhibition hall and 400 the art gallery. It took one100 men a month to do the wiring. Susan Page Davis is the author of more than forty published novels. Visit her website at: www.susanpagedavis.com where her painless drawing for free books is held every month. Enjoyed this post, Susan. I live in the Louisville area - we have some beautiful homes in the Old Louisville area of the city! Cool, I'm from Louisville and never knew about this! Hello, I came from Ky and did not know this happened there...I learn many things from this site, so glad it has started. Thanks to the folks here that take the time to research and let us know all this great history..
What a neat piece of history! The Southern Exposition would have certainly been a sight to behold!! Thanks, Ladies! Bonnie, my sister and I toured one of the houses in St. James Court, which is in the area where the exposition was. Loved it! Absolutely gorgeous there. That's where I first learned about the expo--they had some materials about it in the house. There are so many beautiful historical homes in that area, & there are many beautiful & unusual crafts at the annual St. James art festival (it is an institution around here) - did you get to attend? This post was so interesting. My family and I visited Louisville a few years ago and found it a lovely place to visit. I know the expo must have been so exciting for so many.